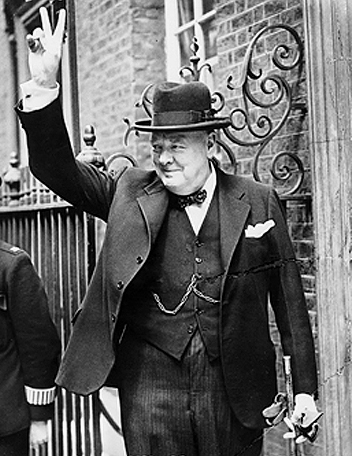 January 24, 2011 /Photography News/ Sir Winston Leonard Spencer-Churchill (30 November 1874 – 24 January 1965) was a British politician and statesman known for his leadership of the United Kingdom during the Second World War (WWII). He served as Prime Minister twice (1940–1945 and 1951–1955). 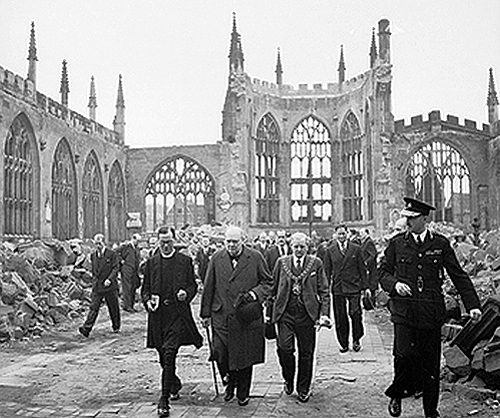 Churchill was also an officer in the British Army, a historian, a writer, and an artist. To date, he is the only British prime minister to have received the Nobel Prize in Literature. 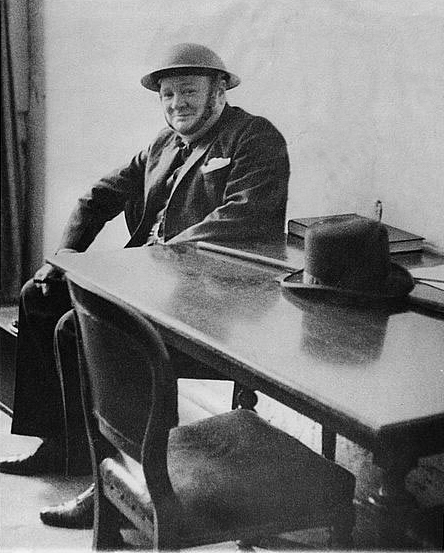 Churchill died at age 90, 46 years ago today, on the morning of Sunday 24 January 1965, 70 years to the day after his father's death. Winston Churchill inspecting Canadian troops, during World War I. This photograph was taken with a wide lens to allow the whole scene to be captured. The photographer responsible for the image, however, is not known. Troops wearing 'Mountie-style' hats are parading in lines which make a star shape. They are being watched by men on horses further up the hill. They are detached from the action and surrounded by flag bearers. There is no original caption attached to the back of this photograph. It is, however, one of a series and luckily there is a pencilled note written on the back of one of them. This reveals that Winston Churchill is inspecting Canadian troops. The propaganda value of this scene is immense. Not only does it address international relations and the bonding of two allies, it also emphasises the arrival of 'new blood'. The National Library of Scotland. 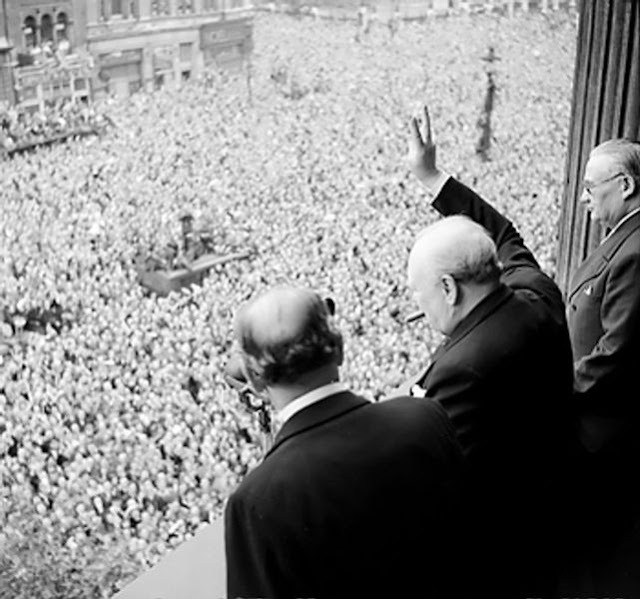 Churchill waves to crowds in Whitehall on the day he broadcast to the nation that the war with Germany had been won, 8 May 1945. 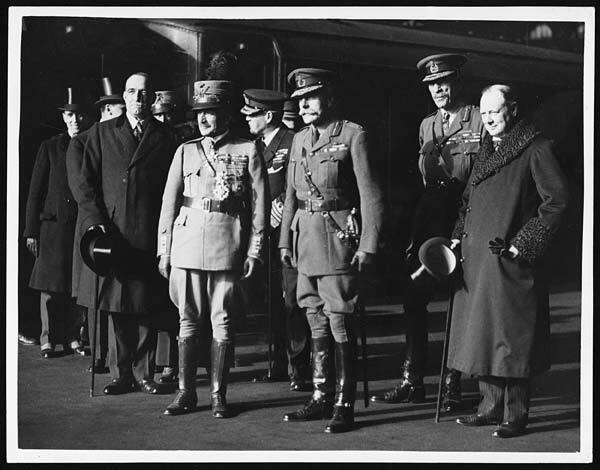 Field Marshal (Earl) Haig (1861-1928) and other military and civilian officials, including a French general, standing on a station platform. They appear about to greet someone as the two main civilians have their hats off. 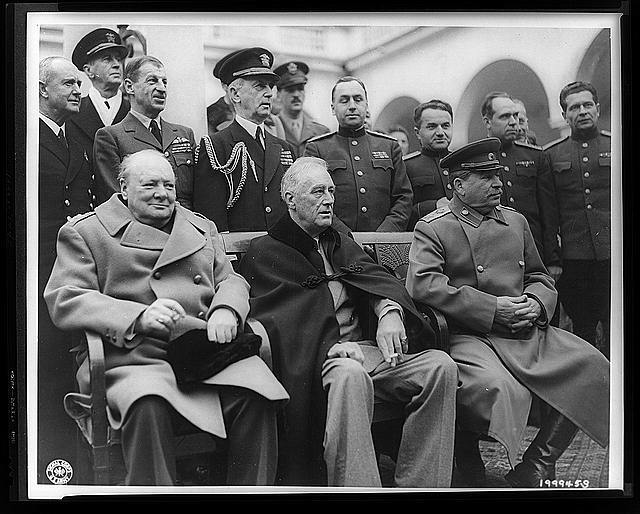 Sir Winston Churchill (1874-1965) stands to the right. The photograph has no original caption. 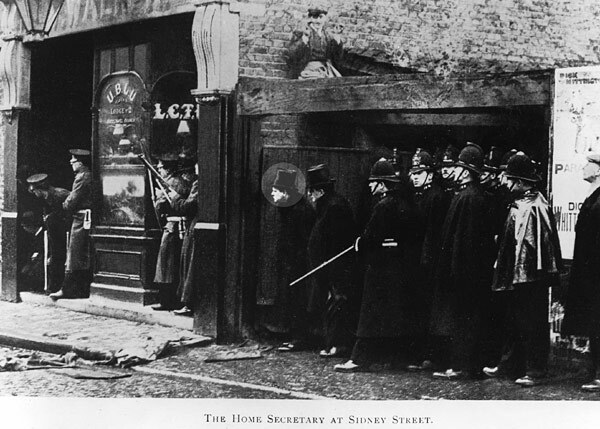 It is not dated but it is perhaps most likely that it was taken in the period between 1918 and 1921 when Churchill was Secretary of State for War. The National Library of Scotland. 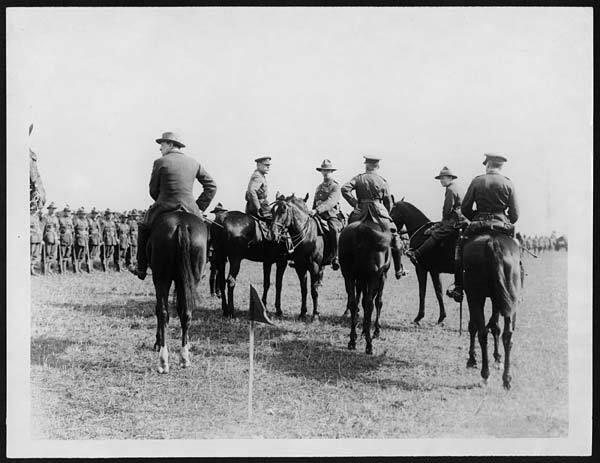 Although a row of soldiers is just visible in the back left corner, this image is dominated by the mounted officers milling around a marker flag. They are chatting casually and look quite relaxed. Their horses on the other hand seem to be relatively frisky and jumpy. Unusually for the photographs in this collection, the caption on the back is not typed. It has been handwritten in pencil instead. This does not, however, reveal much about the history of this photograph or how it was intended to be used. [Original reads: 'Inspection of Canadians. Winston Churchill in plain clothes.']. The National Library of Scotland.